Mumbai: The meeting of the International Civil Aviation Organization (Icao) in Mumbai later this month, the first time the summit is being held in India, could see a thawing of the freeze on bilateral rights that the government imposed last year. At least 40 countries will negotiate on the rights with the Indian civil aviation ministry at the meeting of the United Nations’ wing that’s being held on 17-22 October. All told, 60 nations will be attending to talk about flying rights and other issues. “Out of 40 countries (with which India is talking), with many we already have bilateral agreements and they want to extend," said a senior civil aviation ministry official, who didn’t want to be named. To be sure, it is unlikely that West Asian countries will get more flying rights. New and underserved markets will get priority, according to officials. 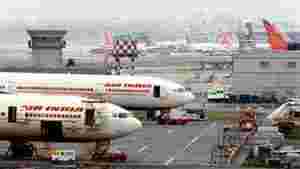 India had frozen bilateral rights for additional seats in 2010 after the government’s liberal grant of traffic rights to foreign airlines between January 2004 and March 2010 was blamed for the dismal financial performance of state-run Air India. Praful Patel, civil aviation minister during the period, was succeeded by Vayalar Ravi in January. Air India said in an August note that India raised capacity entitlements nearly fourfold during the six-year period, but Indian carriers were not in a position to take advantage of this because they didn’t have the planes. Overseas carriers such as Emirates have primarily benefited from this, according to those who support this argument. “We have not taken a final call on increasing the capacity (more seats) in the bilateral talks," said a senior aviation ministry official, without elaborating. “The main focus of the Icao meet will be on modernization of ASAs by including certain safety clauses, code-sharing guidelines, security and tariff. All of them (the 40 countries that India is talking with) want to amend the current ASAs." Another aviation ministry official also said the ASAs will be updated and modified. He also didn’t want to be named given the sensitive nature of the issue. Nasim Zaidi, secretary, civil aviation, confirmed the development without divulging the specifics of the bilateral negotiations. India’s interests were not protected in the previous bilateral allocations, said an airline consultant, requesting anonymity. “India’s air traffic negotiators and especially our political leaders failed miserably in the past five years to protect India’s interests, and squandered away the huge leverage that India should have had in such negotiations of air service rights," he said. “India is one of the most important source markets for air traffic for many European and Asian carriers." Irrational bilateral policies in the past had resulted in making Emirates the de facto national carrier of India, said a senior executive with an Indian carrier, who also did not want to be identified. He said the government is unlikely to lift the freeze on bilaterals, considering the current turmoil in the industry, though Dubai and other countries are insisting on this. Emirates’ India operations are nearly one-third of Air India’s total international operations. Emirates has about 185 flights to India every week to 10 destinations, while Air India operates 650 flights to 33 international destinations each week. As of 1 April 2010, 72 foreign airlines operated 1,356 services a week, offering 326,705 seats, according to the ministry of civil aviation. Four Indian carriers fly to 25 countries with 990 flights every week to 35 destinations as of April 2010. Indian carriers are eligible to operate to and from 104 countries with which the government has bilateral ASAs. The four Indian airlines with international services—Air India, Jet Airways (India) Ltd, Kingfisher Airlines Ltd and SpiceJet Ltd—were joined in September by IndiGo. Most ASAs are based on a 1946 traffic rights agreement between the US and the UK. In the 1990s, a new generation of ASAs emerged, known as Open Skies Agreements, that liberalized many areas but without lifting restrictions on investments.